The debut film Quit Staring at My Plate by Hana Jušić has been selected for the ‘Venice Days’ ('Giornate degli autori') programme, in parallel with the 73rd Venice International Film Festival, while the Croatian minority co-production, Good Luck, Orlo!, a short film by Sara Kern, will screen in the Orizzonti competition. The festival begins on August 31st and will run until September 10th. Quit Staring at My Plate is a film about growing up and family relationships. Marijana Petković (Mia Petričević) is the film’s lead character, whose everyday life revolves exclusively around her family. After her dominant father (Zlatko Burić) has a stroke and is left bedridden, Marijana takes over as the leader of the pack. Marijana works two jobs to support her family, while her irresponsible mother (Arijana Čulina) and her slow brother (Nikša Butijer) only make the situation more difficult. This feature film will have its world premiere at the ‘Sala Perla’ on September 2nd at 17:00 and will be followed by a discussion with the audience. The film is written and directed by Hana Jušić, the cinematographer is Jana Plećaš, the editor is Jan Klemsche, and the producer is Ankica Jurić Tilić from Kinorama. Co-producers are Peter Hyldahl, Morten Kjems Hytten Juhl and Maria Møller Christoffersen from Denmark’s Beofilm as well as HRT (Croatian Radio Television). Development and production is supported by the Croatian Audiovisual Centre, while production was also backed by the Danish Film Institute and the multinational European fund Eurimages. The international sales agent is Poland’s New Europe Film Sales. This year’s ‘Venice Days’ ('Giornate degli autori’) will screen 11 carefully selected films, seven of which are directed by women, and standout with their innovativeness and originality. More details on ‘Venice Days’ can be found at this link. Good Luck, Orlo!, a Croatian minority co-production directed by Sara Kern will screen in competition at this year’s Orizzonti (Horizons) programme – one of two competition programmes in Venice which introduces up and coming world trends and new names in film directing, while also screening films by renowned authors. This Slovenian-Croatian-Austrian co-production is a family drama that starts with the death of a baby. 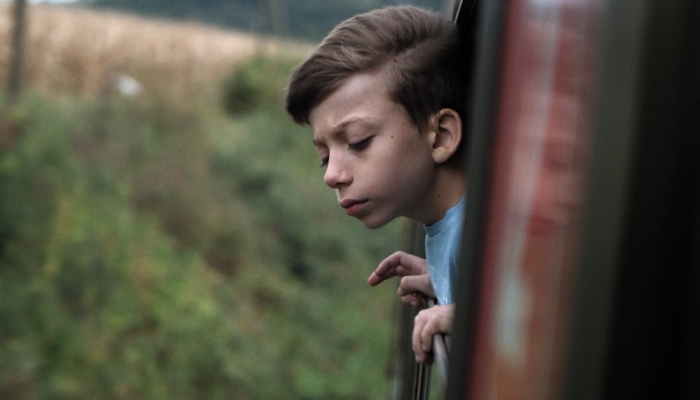 In order to spare his family from sadness, Orlo kidnaps his friend’s little brother to take back to his mother. The film, which was co-financed by the Croatian Audiovisual Centre, will have its world premiere on September 8th at 17:00 in the ‘Sala Giardino’ auditorium. Sara Kern wrote and directed the film, the producer is Rok Biček, the cinematographer is Lev Predan Kowarski, the editor is Andrej Nagode, and the co-producers are Ira Cecić and Ivana Šimić Sedić, while the remaining Croatian crew includes costume designer Tina Pavlović and Šesnić&Turković Studios. The film is produced by Cvinger Film (Slovenia), and co-producers are Kinorama (Croatia) and Zwinger Film (Austria). The film stars Tin Vulović, Primož Pirnat, Nina Ivanišin, Tin Marn, Nataša Živković, Borja Živković Jus and Rok Vihar. Last year, in the Horizons programme, Belladonna by Dubravka Turić won Best Short film, while in 2014, Emir Hadžihafizbegović won Best Actor for his role in Ognjen Sviličić’s These Are the Rules. The 73rd Venice International Film Festival will open with the musical La La Land by Damien Chazelle which features Ryan Gosling dancing and singing with Emma Stone. The festival will be held from August 31st to September 10th. For more information please visit the Festival’s official website. Cover photos: scenes Quit Staring at My Plate and Good Luck, Orlo!